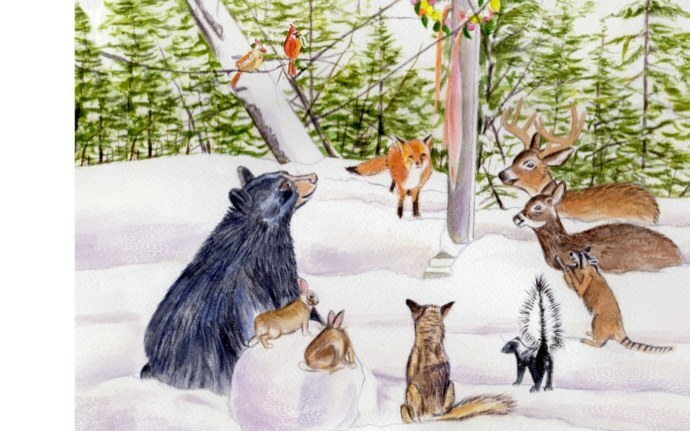 How I imagine Christmas Eve in the snowy north woods of Michigan! 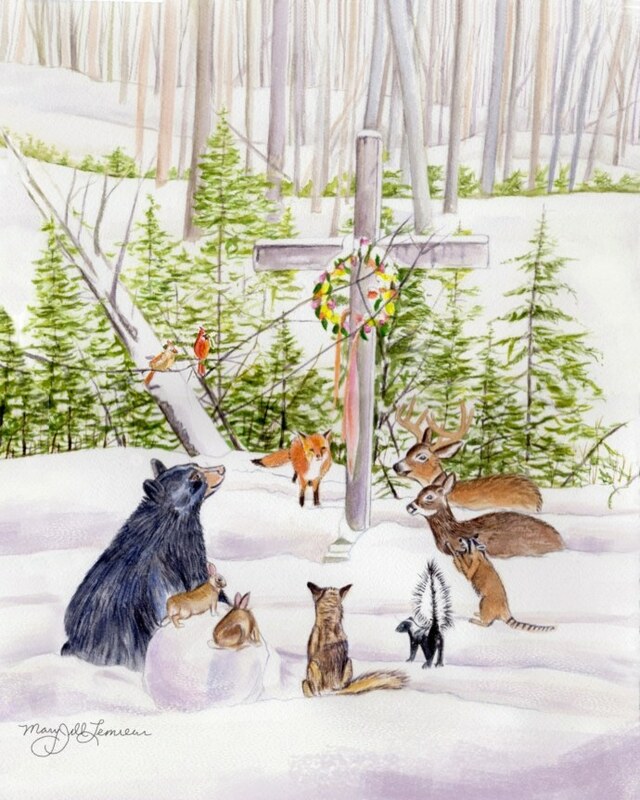 This is an original watercolor inspired by Daniel Chingwa’s photo of a memorial wreath left on a cross on All Saint’s Day in the Native American cemetery in Bay Shore, Michigan. Original watercolor on archival 140# cold press watercolor paper. Gorgeous detail! Unframed. Mary Jill Lemieur is a visual artist working and residing in northern Michigan. She was born in Detroit, Michigan, and began doodling and drawing at age two. She was influenced as a child by the miniatures and animal illustrations of Beatrix Potter, the whimsical art of Paul Klee and the wild sixties’ colors of Peter Max! She was fascinated by the sculptures of Marshall M. Fredericks, found around the city. Moving to northern Michigan as a young teen, she found inspiration in the wildlife and beauty of the area. She remembers a magical moment of discovery – drawing intricate detail with pen and ink! Along with running her custom art/illustration business, she has worked for eight years as a teaching artist with special needs and differently-abled children, teens and young adults through the artist-in-residency program with Very Special Arts of Michigan. She finds purpose in sharing her creativity through making artwork which brings awareness, humor and comfort to others, as well as teaching others how to use their imaginations and get in touch with their own creativity. Her paintings and custom artwork are in collections across the United States and abroad. A portfolio of her works can be found at https://www.maryjill.com.